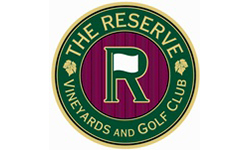 The Reserve Vineyards and Golf Club is one of the 17 participating golf courses in the Portland Metro area. The Passport rate at The Reserve is $30 for 18-holes (with a cart) and can be used one time. Brief Description: At The Reserve, a unique rotating format enables public golfers to access two distinct 18-hole championship golf courses in Portland, Oregon - designed by award-winning architects John Fought and Bob Cupp and rated among the elite handful of the Pacific Northwest's most stunning tracks. Driving Directions: From Beaverton take Hwy 8 through Aloha and turn left on 229th. Go 3/4 mile. Clubhouse and entrance on right.